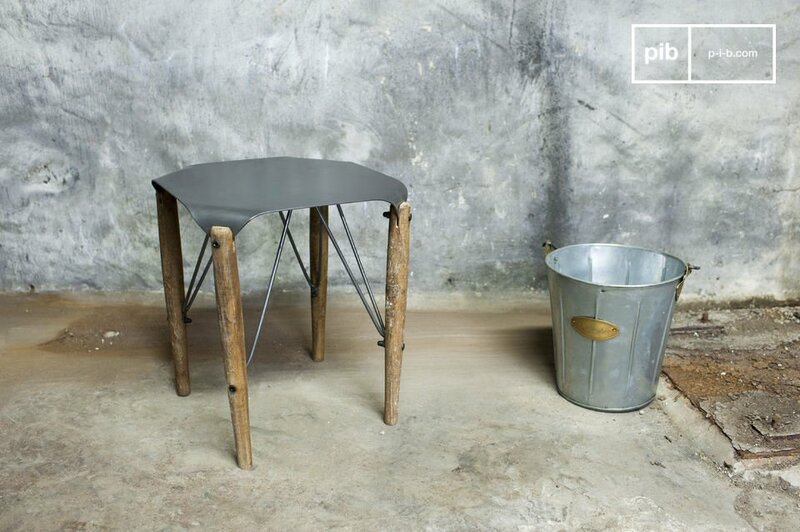 The stool Bow is a great example of a seating furniture piece with industrial retro style. 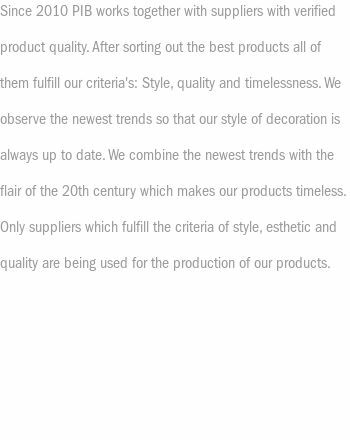 This piece of furniture succeeds in combining fineness and rawness. 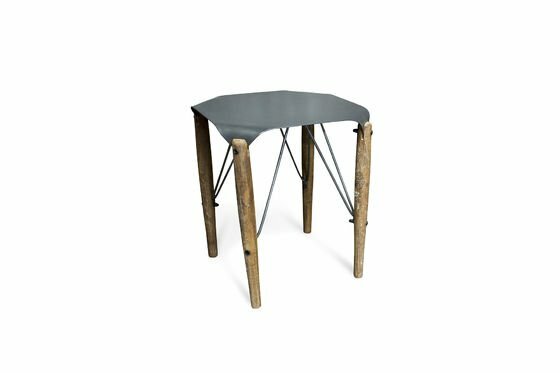 The smooth dark grey metal seat is bent in the corners and is clamped and screwed into the individual stool legs. 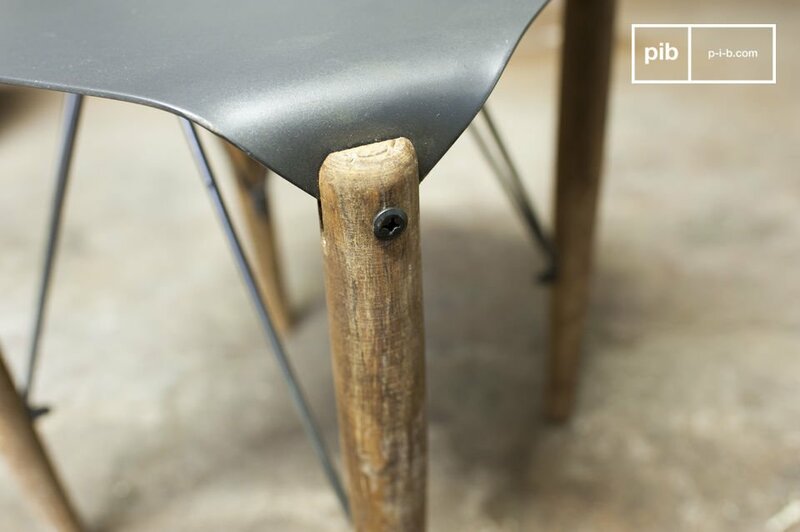 The base of the stool is made of old wood and the individual stool legs are linked by small rods below the seat. 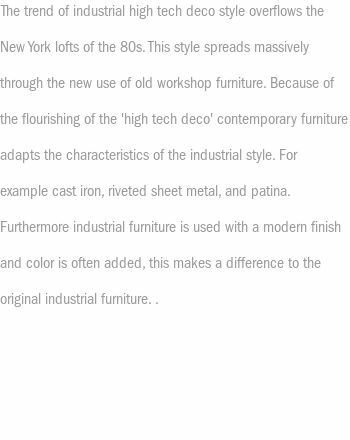 The stool is very robust due to this structure, which accentuates the industrial vintage style even more. This stool can be integrated into any interior style, as side table, bedside table or as seating furniture. This stool matches perfectly with the same-named table.